Create an ad campaign that re-introduces Veelok indoor/outdoor carpet to the trade…also giving them ideas about Veelok uses and potential sales opportunities. 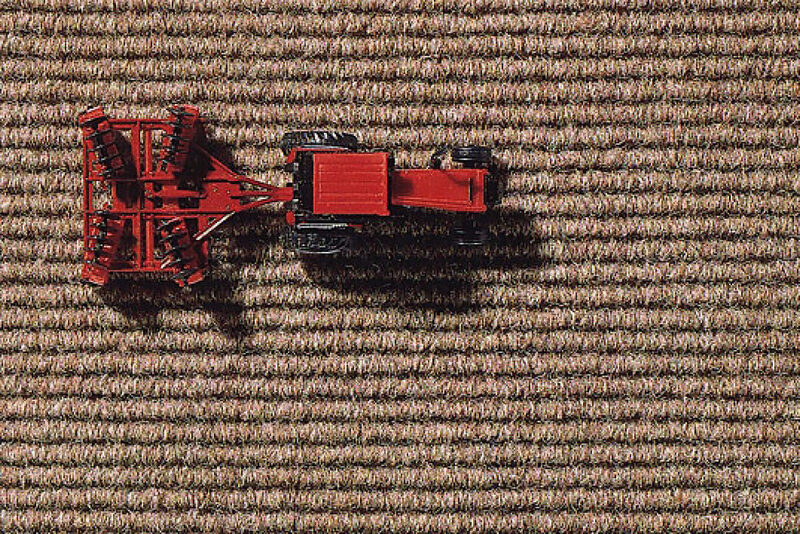 Each ad in the campaign pushed a different carpet benefit, with a related image cut from the actual material. We wrote the body copy to compliment the creative theme as well. For example, the tractor ad says it is “outstanding in any field” and the fish ad talks about needlepunching and how it is therefore “difficult to hook” or snag. This campaign won a New Jersey Art Director’s Club award.